i have an omnia where contacts are saved in google. but now i pourchased a samsung quattra. how do I transfer the contacts from omnia to quattra. i want Bluetooth for file tranfer , plz give me advice as soon as possible. hello plz will u help me i am planing to buy this phone how is it???? Its a nice phone,reasonable easy to navigate,user friendly,excellent video quality,excellent processor only drawback is bluetooth but it can be managed . ragz, 16 May 2012Can anyone using Samsung i8350 Omnia W confirm if we can use Skype (with Video from Front camera) ?Yes its very nice phone, Skype is working with video call. Is the OMNIA W upgradable to WP 7.8?? Is there any announcements on the update release date? The best of all the phones... Has out rated android , bada or any other phone... 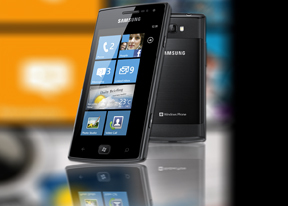 Simply the best ..
Can anyone using Samsung i8350 Omnia W confirm if we can use Skype (with Video from Front camera) ? bab, 07 Jan 2012when anroid OS is free of cost then why are anroids with same specification more costlier than... moreSamsung is able to keep the price of this devise low by totaly ignoring advertising.